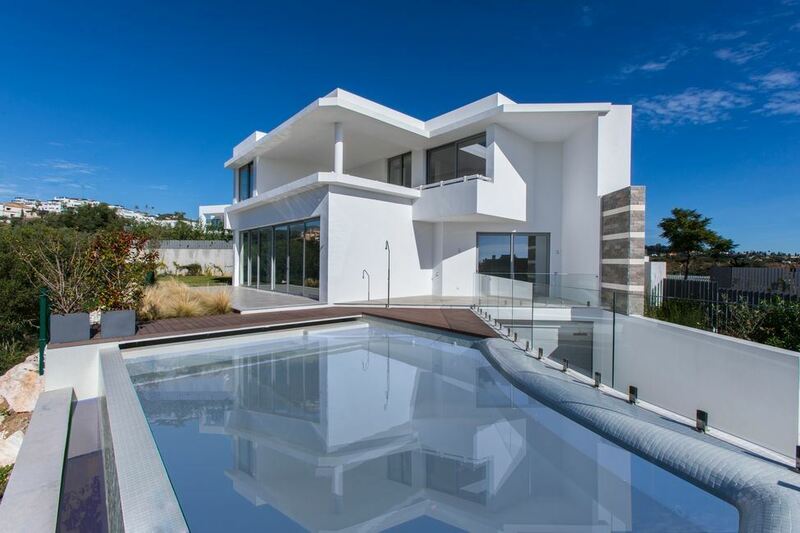 This newly built villa has a spacious garden and large terraces with a pool with views to the golf course. On the ground floor an open plan living and a kitchen take up the main space, were you can also find a bedroom and a bathroom. Upstairs you have good size master with a large terrace and views towards Gibraltar. There are also two other double en-suite bedrooms on this level. These levels rest upon a large basement and a garage for up to three cars. There is also a bathroom and a huge potential bedroom on that level.